As with the dining room, it is a bit of an exaggeration to claim that my flat has an actual study. Instead, I have sectioned off a small section of the living area and have set up a desk behind the sofa. I like to keep my work separate from the rest of my life, so I try to work at the desk, rather than at the dining table, to help establish boundaries and more of a work/life balance. 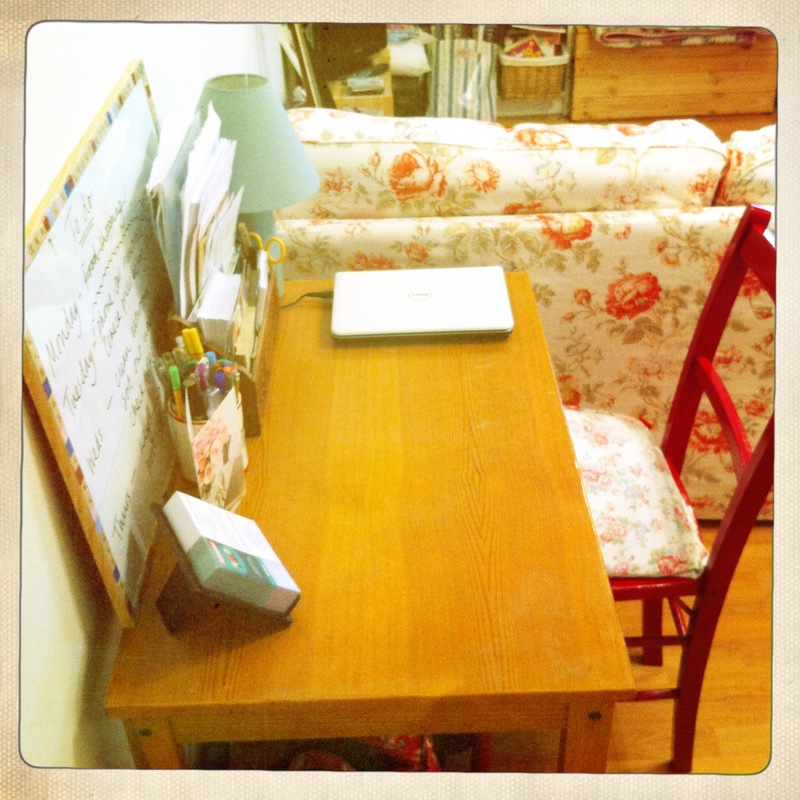 The desk was a brilliant bargain – I found it for £10 in a Charity shop. It is a bit marked and scratched, but I prefer that, as it gives it more character and it doesn’t worry me if I scratch it either! This old dining table makes a perfect desk. There isn’t a huge amount of room on the desk, but that means I can’t ever do too much work! I keep all of my pens and the odd nail file in this lovely old mug, which I found for 50p in a Charity shop. 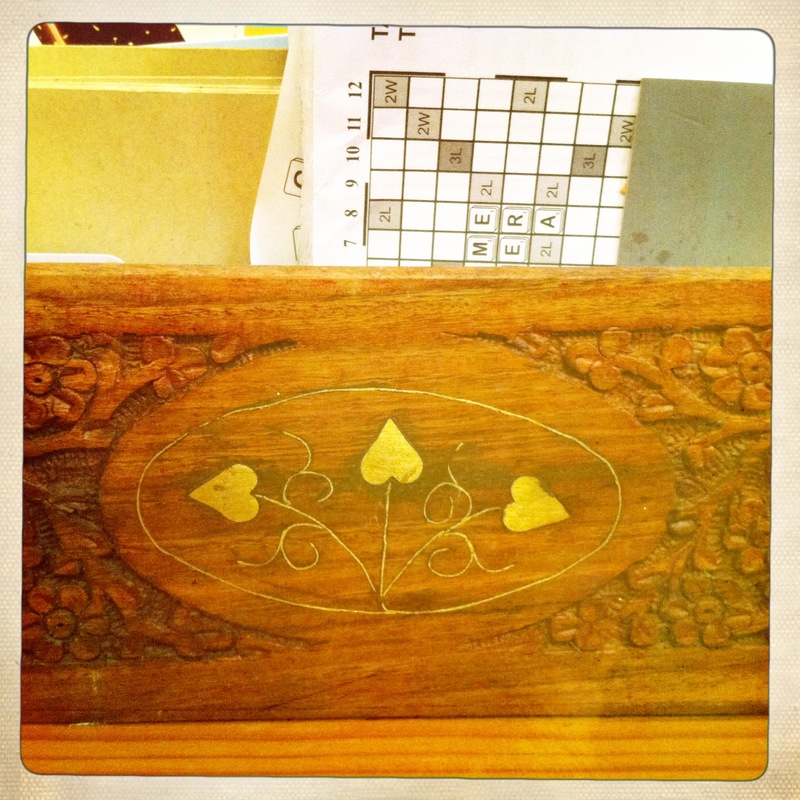 The beautiful, carved wooden letter rack was also a Charity shop find; it only cost me £2.50 and I think it is really gorgeous – a stunning way to store different papers and envelopes. 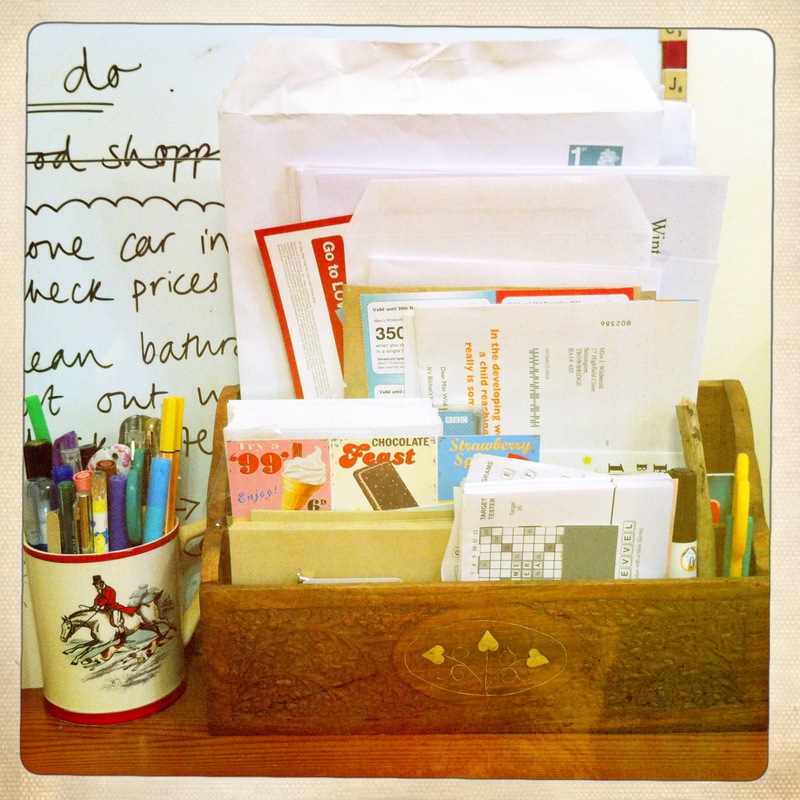 Re-purpose old items – like this mug – to provide pretty and unique storage solutions for desktop essentials – pens, paper and envelopes. This beautiful hand-crafted letter rack is really unique. 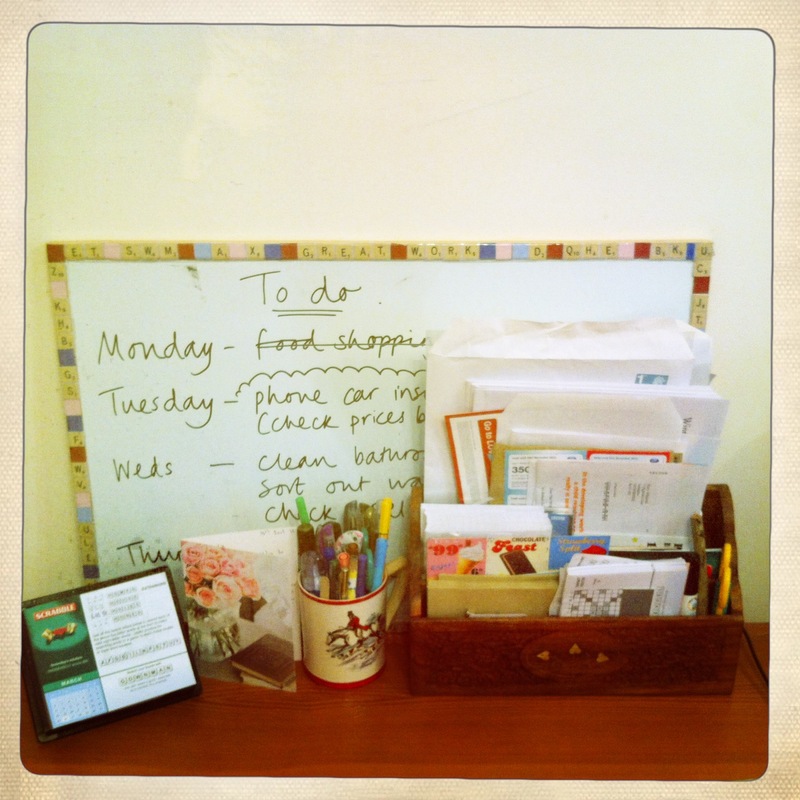 At the back of the desk is a handy magnetic whiteboard for notes and memos. 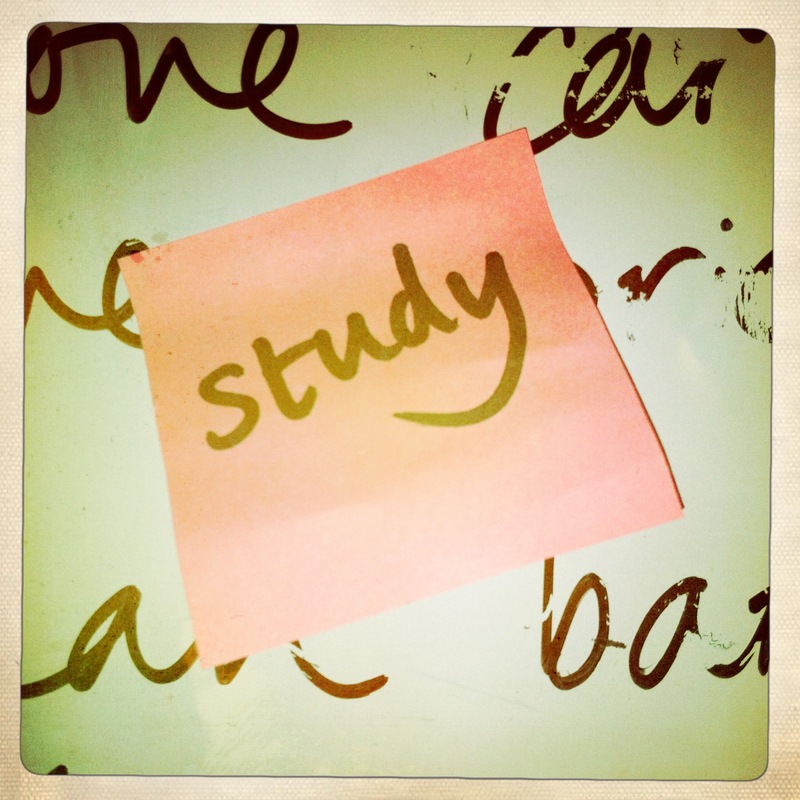 Keep a notice board handy on your desk to jot down reminders. 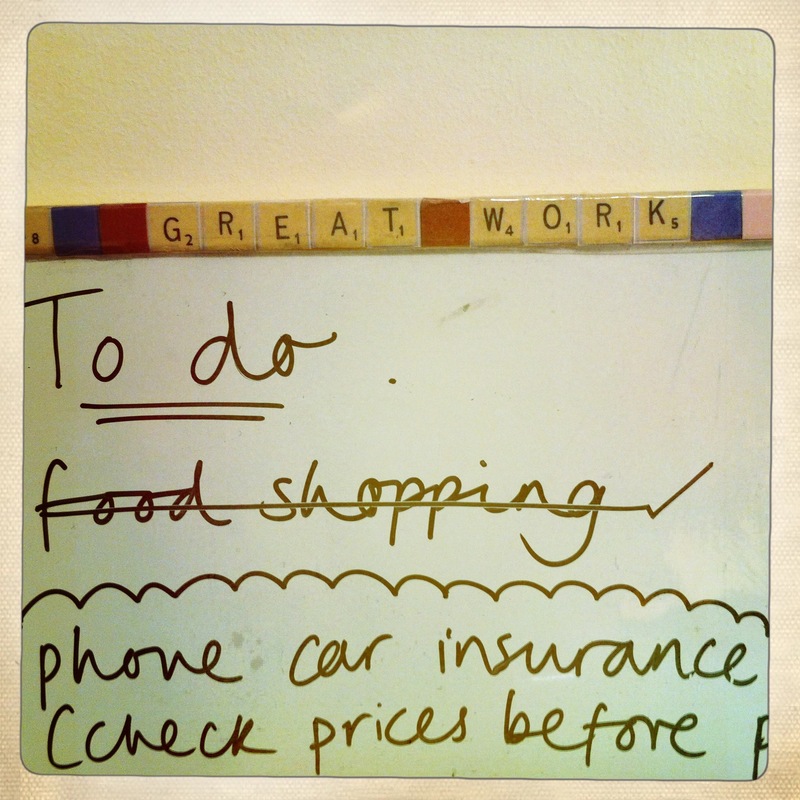 A magnetic board is especially useful for keeping track of receipts, miscellaneous paper work and important contact details. This whiteboard was from Wilkinsons (it cost about £5) and just had a plain wooden frame, but I printed out Scrabble letters and stuck them around the edge to create a colourful border. I then used sticky-back plastic to secure everything in place. It was quite time-consuming, but I think it looks great. It would be a nice idea to personalise for someone, to make notes and reminders a bit more unique. Personalise notice boards by printing or cutting out words or images and gluing them along the frame. Keep everything secure with sticky-back plastic. This chair is the fifth one that I bought on eBay for £6 (for all 5), sanded down and painted in pillar box red gloss paint (the other four are in the dining room). 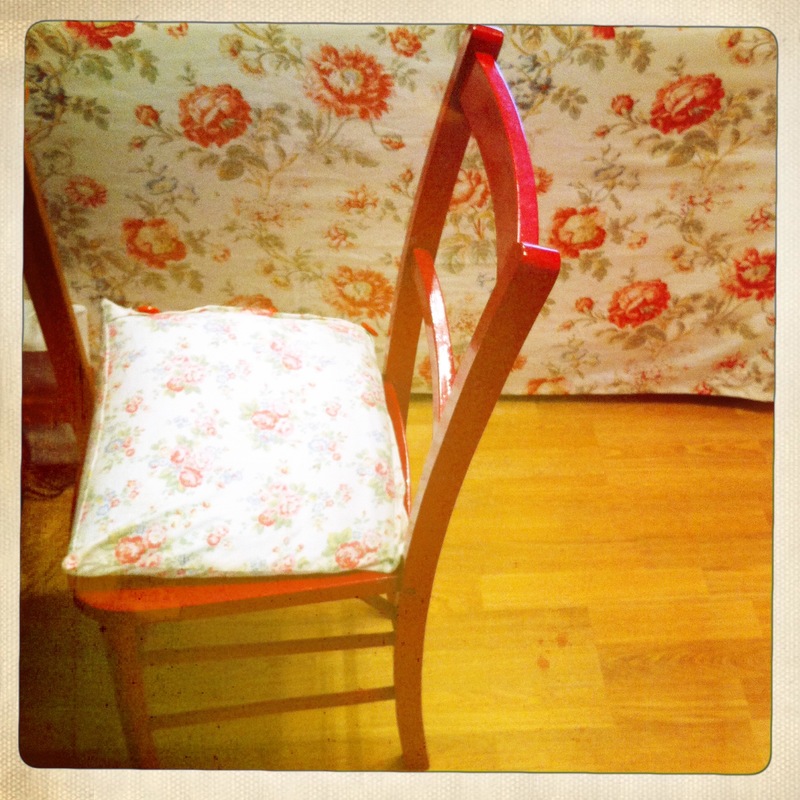 The cushion cover is made from Cath Kidston fabric and some old buttons I had. This colourful chair brightens up work any day. These different pictures all hang above the desk and provide something nice to look at when work gets a bit boring. They are a mixture of photographs and greetings cards – both framed and unframed. I like all of the images, but they are also personal, so they mean a lot more to me than just generic pictures. 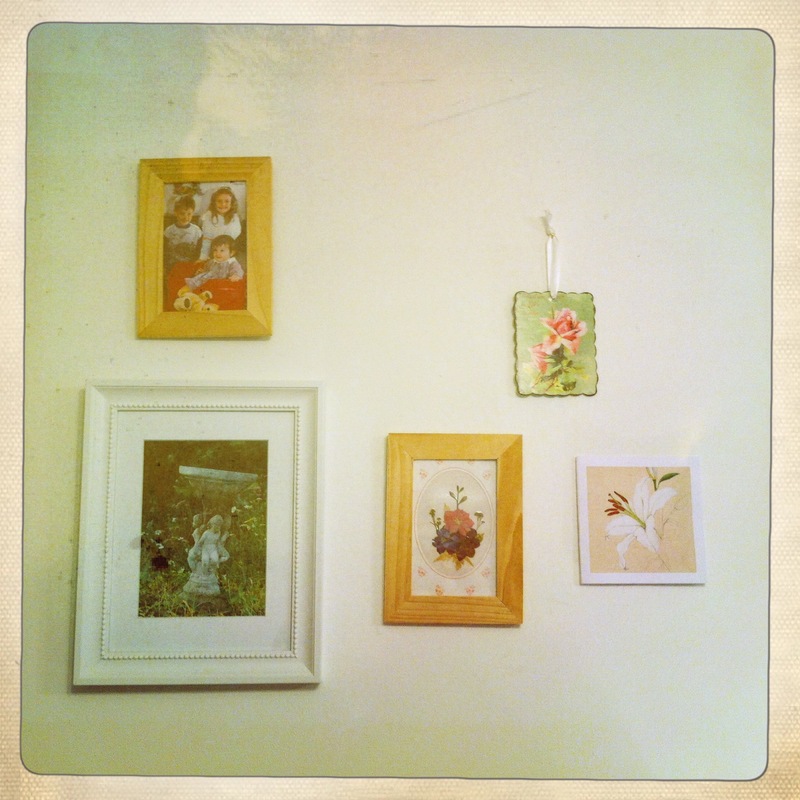 Display photographs and cards which mean a lot to you in groups – clustering images together creates impact.